Product prices and availability are accurate as of 2019-04-19 17:35:49 EDT and are subject to change. Any price and availability information displayed on http://www.amazon.com/ at the time of purchase will apply to the purchase of this product. 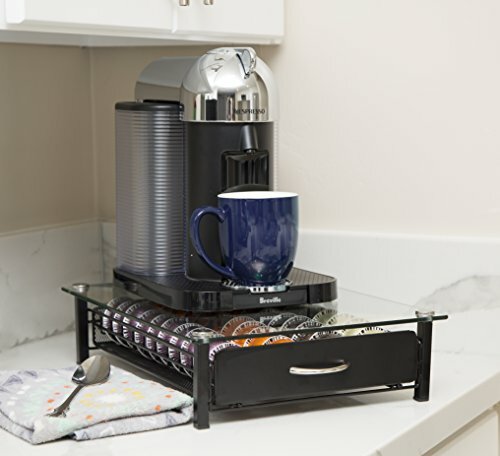 Tired of Your Coffee Pods Rolling Around On Your Counter Top or Cabinet? You Spent a Couple of Hundred Dollars On Your Awesome Coffee Machine. Why Not Invest In A Top of the Line Pod Holder. Wake Up In the Morning, Open Our Drawer and All Your Choices are Right In Front of You. No Need to Hunt through Drawers and Cabinet to Find the Flavor You Want. It's too Early In the Morning For That! Pick your Flavor of the Day, and You're On Your Way to Enjoying the Fresh Taste of Coffee. 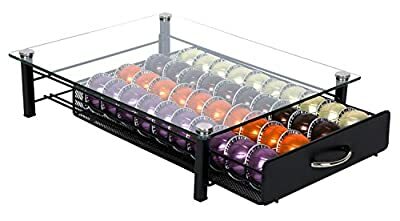 - Size: 16" x 13" x 4"
- Intended for Nespresso Vertuoline Pods. 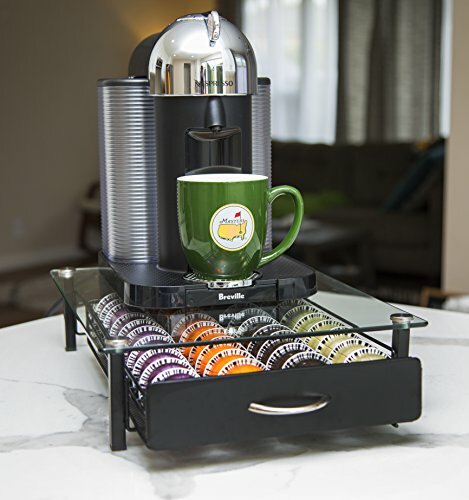 Holds 40 Coffee or Espresso Capsules. - Tempered Glass Top. Touch & Easy to Clean, Made of the Same Material as Your Car Windshield. 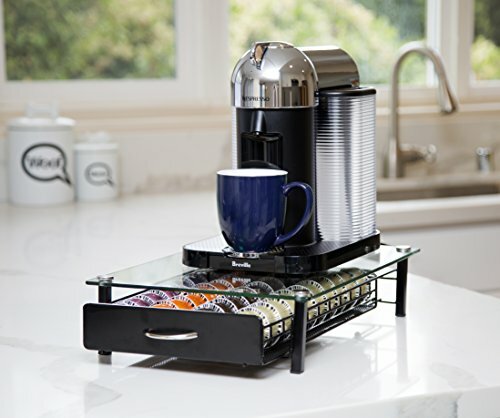 - Perfect as a Stand for Your Vertuo Coffee Machine. 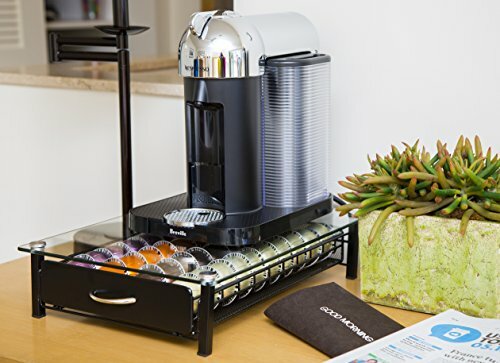 Stay Organize With Our Modern, Space Efficient, Coffee Pod Holder. Once Your Friends See it, They'll Wonder Where You Got It! Don't Hesitate, Add To Cart NOW!